“Full Circle” celebrates the 30th anniversary of Young At Art Museum. The challenge is to create an original 2-Dimensional work of art on a 12 inch diameter circular surface. Make sure your submission reflects the theme through an imaginative use of color, design, material and subject matter. 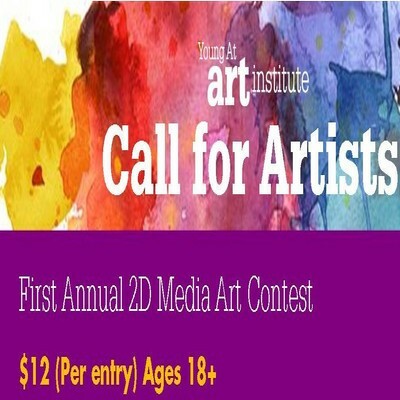 Judging will take place in early March 2019 by YAA Art Institute Art Educators and Professionals from the museum. Chosen entrants will be notified via email to turn in their physical work. Full Circle Exhibition will host its opening reception on Friday, March 15, 7-9 pm. Finalists will be invited to participate in an exhibition at Young At Art Museum, March 15– April 28, 2019. First– Third place winners will receive certificates and ribbons during the reception on March 15th at 7pm and their names and entries will be posted online on the museum’s Facebook page and Instagram. There are no cash prizes for this exhibit.